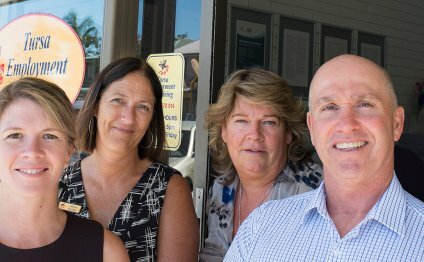 Tursa Employment & Training presently works in the area from Nambucca Heads (Coffs Harbour) to Oxenford (Southport) supplying employment and training services from 25 easily found offices that are open 5 times weekly from 8.30am – 5pm to help job hunters and business. TURSA is a not-for-profit, local organisation devoted to its region and also the community. TURSA provides assistance to help organizations employ employees also to help job seekers get jobs. Assistance that will be available includes Job providers Australian Continent, impairment job providers at Mullumbimby, Brunswick Heads, Byron Bay & Ballina offices, OHS instruction, wage subsidies, education, appropriate work garments, and fares support. TURSA is prepared to give consideration to any reasonable demand that can help company and workers.